In the history of the Arma Series, Panthera is an older map, sure. 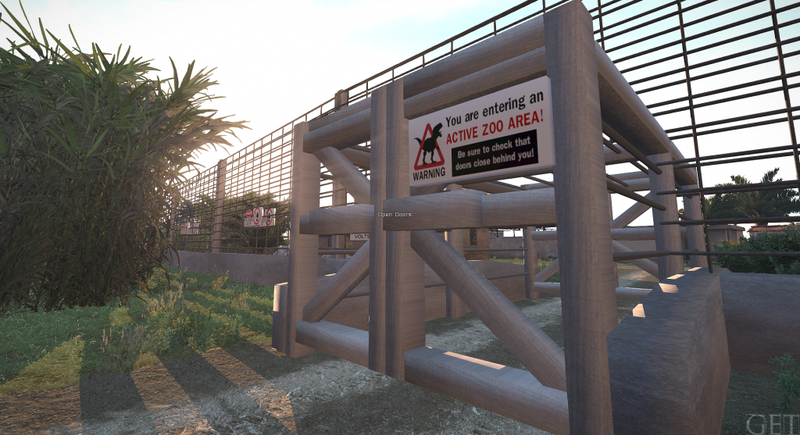 But if you haven’t yet checked out Panthera given all the new features Arma 3 now offers over it’s predecessor, you’re missing out. Boasting a total of 4 airports, teams both large and small will have a diverse amount of mission experiences. 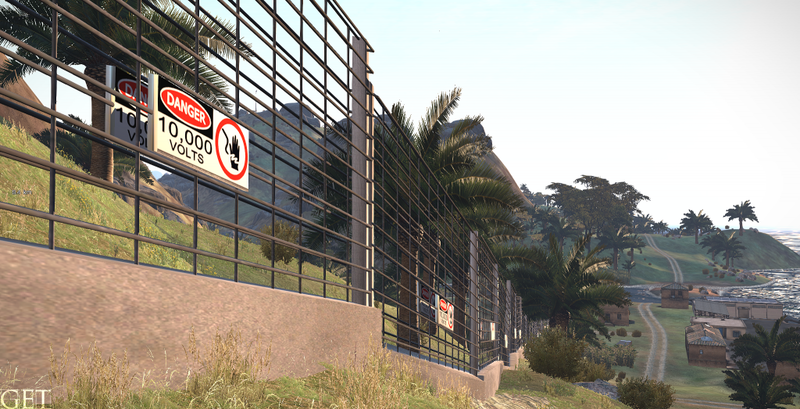 The map is capable of providing challenging gameplay set across scenery such as mountains, deserts, jungles, beaches, and lakes all with appropriate vegetation. Understandably, Panthera isn’t for every mission. However, you would be hard pressed to find a better blank slate for making unique mission experiences happen on just any map in the Armaverse. Imagine: You’re a pilot responsible for CAS in support of your team’s offensive in the Northwest quadrant of the island. Grasping on to the shores of a small peninsula is a short, hastily built runway. There was no time to clear the rocks but your team’s makeshift FARP keeps you in the fight. You lower to a nap-of-the-Earth altitude, line up the nose of your aircraft, and delicately balance airspeed. You’re hard on the brakes even before the landing gear touches dirt — here’s to the beauty of an aircraft like the A-10 (video below). This is flying under pressure – quite the thrill! You’ll have opportunities to work this into missions for helicopters and boats alike. If there’s one thing that sets Panthera apart from your standard Arma 3 map it’s the amount of the variety of buildings. Although these structures won’t have amazing inside detailing,most allow for players to enter them in unique ways, which in my book always increases the entertainment value. A fitting home for all of your velociraptors! 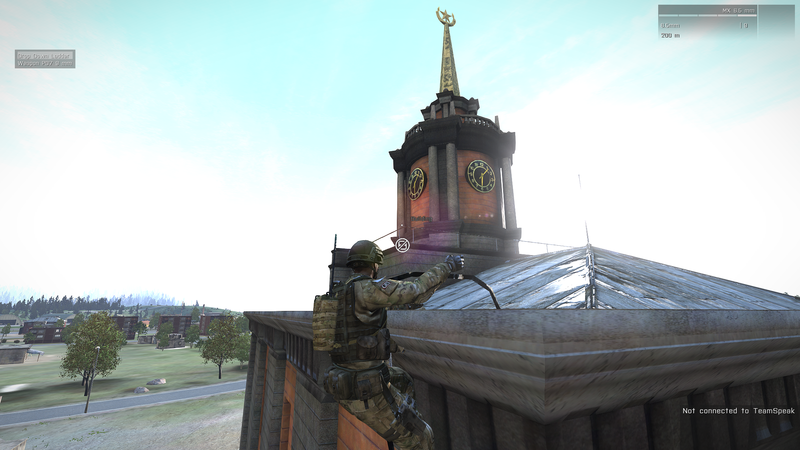 The commanding view from atop the hospital make for fun siege or exfil challenges. Older, primitive construction is featured in the islands around the northeast quadrant. While on the surface the changing climates offered on Panthera may seem a bit “arcadey” compared to other terrain, but the transitions are well executed and the map shines as a fantastic example of terrain that offers something for everyone. Besides, as awesome as the forests of Chernarus or the coasts of Altis are, it might grow monotonous if those are favored destinations for your team’s missions. 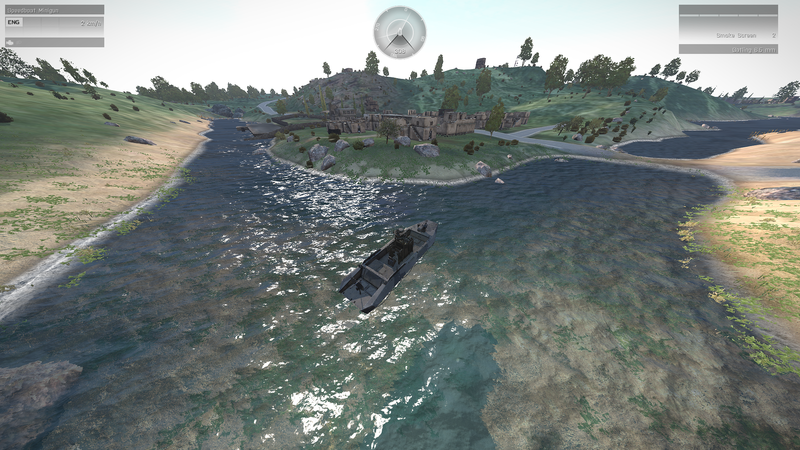 Panthera throws a mix of different vegetation as cover, wide expanses of terrain making even routine flying/driving/boating a blast, and a suite of some of the best buildings in the Arma Series. After firing from vehicles (FFV) and sling loading reshaped Arma’s frontline, the varied terrain and elevations of this classic map create fresh, dynamic landscapes for battle. When the Jets DLC arrives later this month, pilots will find exciting airspace and interesting angles to play CAS roles or provide logistics, hopping from island to island. Of course, if you’re only in the search for a pure jungle or desert experience for your mission, IceBreakr has you covered with other beautiful creations all available on his website. Download or read more about Panthera over at IceBreakr.info.